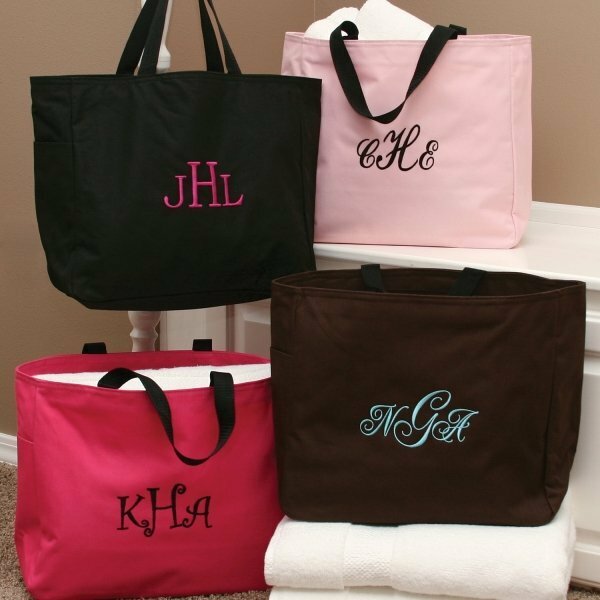 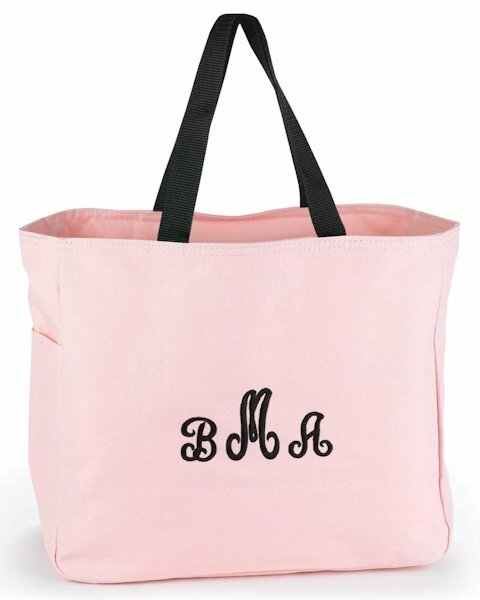 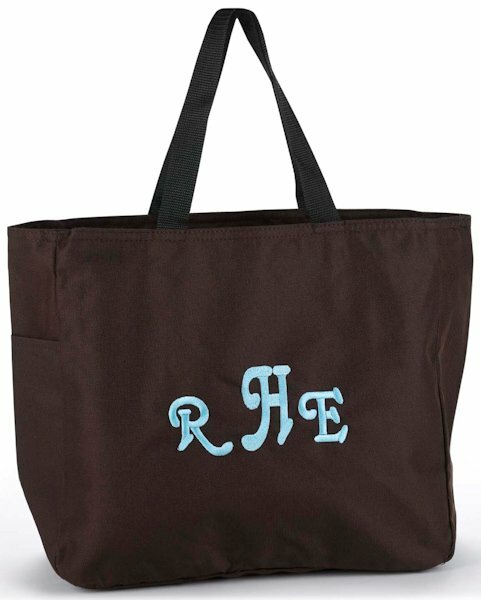 One of our most popular personalized tote bags for bridesmaids! 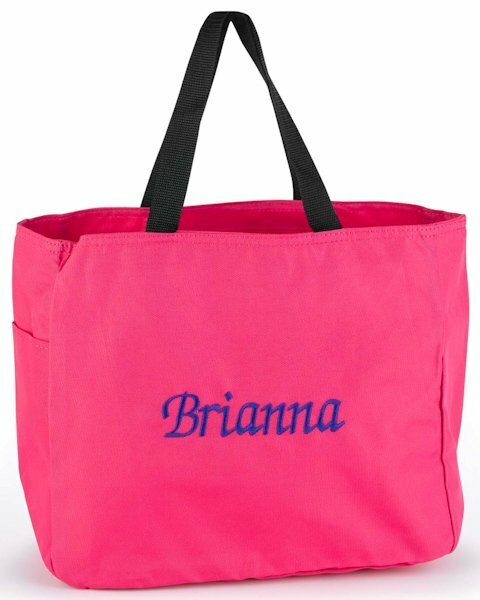 This custom bag makes a great gift for your wedding attendants, bridesmaids or anyone else that needs to tote around wedding day essentials! 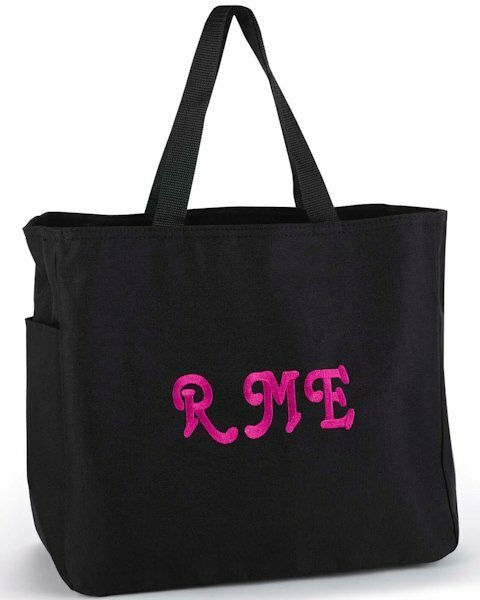 The 14" x 6.5" x 12" bag is made of 100% polyester with black handles and plenty of storage. 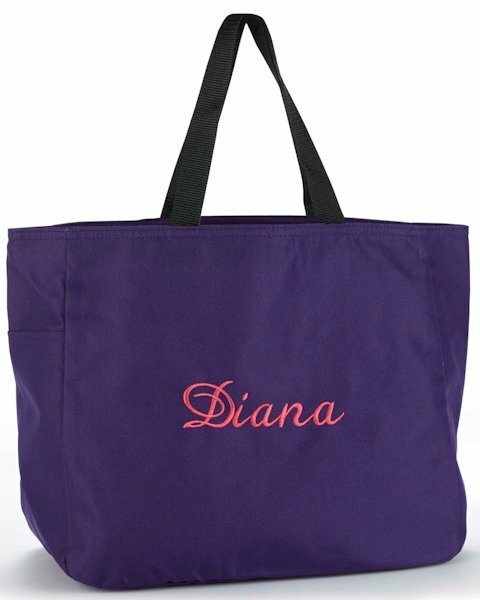 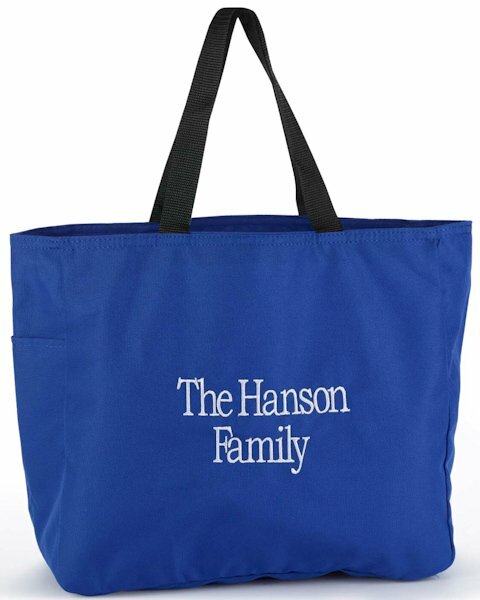 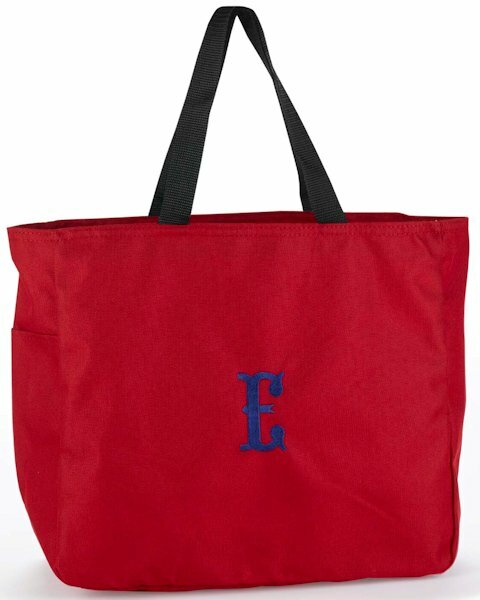 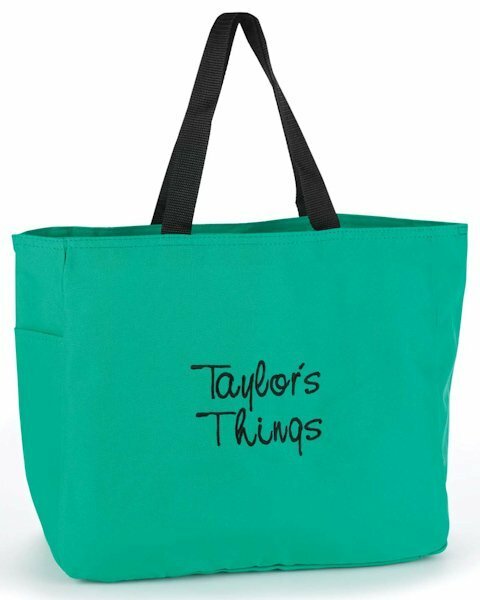 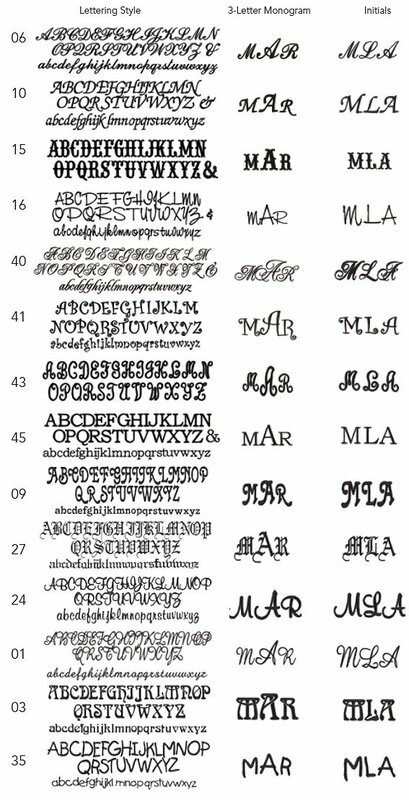 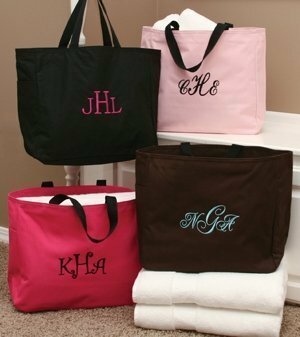 Select the perfect bag color, then accessorize it with your choice of thread color, font, embroidery format and either a single initial, three initials, a 3-letter monogram, single name or two lines of custom text as shown. 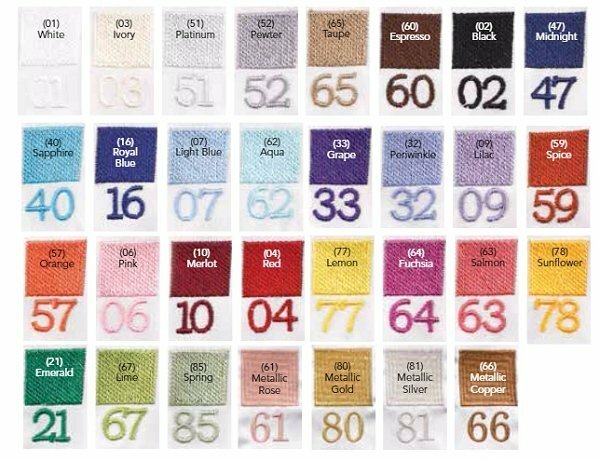 The possibilities are endless with the options we offer!